Good question. I like Nick’s reply–it is straightforward, and, if, an employer is turned off by the response then you will know that up front. @tony: When you have a good boss who believes in long-term relationships, and that what goes around comes around, and that people matter, then parting company is not an exit interview. 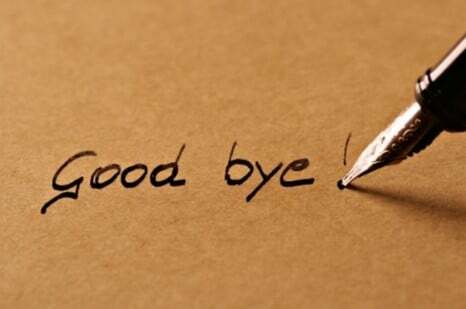 As with your old boss, it was “see you later,” not “goodbye.” Those kinds of bosses are to be cherished. And as you point out, people know the difference between a friendly meeting and an exit interview. When there’s no upside for you, and only poses a risk, then you’re right – there’s no reason to attend. Politely decline. Been there done that. I was laid off/downsized/rightsized pick your term about 20 years ago. But I wasn’t blindsided. I can read walls. 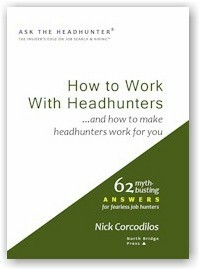 Fortunately I read a book on how to get fired, something akin to Nick’s book. I knew I’d get a package, I knew there was no alternative. But the book gave me one great insight. If you know you are going to get fired, prepare. Be ready. In my case I knew it wasn’t if…but when. 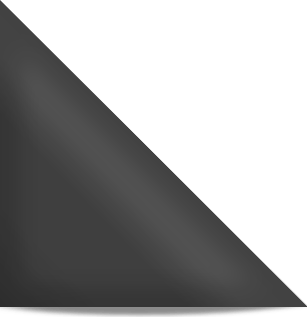 So I made a list of things I wanted…independent of the severance package. And I wasn’t shy, but it did pass a reason test of being reasonable. I worked for a VP with some juice, but more important he hadn’t done the deed as far as I knew & if he did, not for a long time. Generally you can assume firing someone’s not pleasant and you know it’s not pleasant if you’ve pulled the trigger. First thing I did was prepare to leave with my professional flag flying high. I made sure all my active tasks were covered by someone. I did not cop an attitude. Next I made a list, a long list of the things I wanted. All of which I can’t remember. It was comprised of some serious stuff and some simple things. But things that were within his signing authority. e.g. *** an Int’l call budget. He signed off except for the Int’l call budget (I had worked internationally and had many contacts there). I helped make his unpleasant task a little less gruesome. No one wants to fire people an you’d like to do something…that’s one subtle purpose of a severance..so management can go home and sleep at night. So I helped him out..and me. the termination was classic HR. Three of us in a room, me, my boss, and off to the side, lurking very quietly a CYA HR rep. All very somber and business like. He did the deed, and additionally did one class act thing, had an Outplacement counselor ready on site to talk with me & gave me exec outplacement. Nice touch. Then I responded with the aforementioned list and why. I knew the drill. I’d been the manager. What I would have loved to do, and envisioned was when everyone was settled down to speak first and say “Steve, I know you think you’re here to lay me off. But actually it’s my sad duty to tell you that your services no longer are needed, and I’ve been asked to step up and assume your duties.” It would have been so sweet, & made a great story…but I’d have been instantly walked out the door, which was not in my best interests. When I finally got all that crap home, my wife said I should have asked for the table it sat on. Damn! forgot that. The issue I say with Nick’s phrasing is that it sounds fine in a vacuum, but in the actual interview, how is that going to go? The first follow-ups will be “Oh, what was missing from your background?” and “On what, specifically, did you and your manager disagree philosophically?” Are you really prepared to answer those questions when the real answer is “I think I got fired because of a disagreement?” and “My boss was way too high-strung?” Do you really want to get into that? And can you do so without either denigrating your own opinions or trashing your former employer (neither of which are advisable in an interview)? I think that you can take a much easier high road: “I’m looking to get more into x,” or “I’d really like to break into y, which your company seems really into” or “I’m looking to advance into z type of position” or something that focuses on what you want for your future, that doesn’t depend on your delicately egg-shelling around your past. I don’t think Nick’s wording is unworkable, and if you can answer those follow-ups, then by all means. I just think that it’s more than you need to get into, and if you’re not totally ready to get into it, you might have a less-than-stellar interview. @Don: Great story! 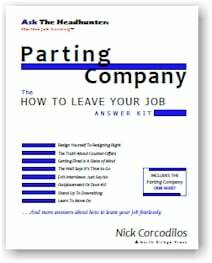 The matter of getting prepared to be fired, laid off, downsized, is covered across several sections of Parting Company. The very worst situation is a surprise termination, but when that happens, I think a person has seen the signals but is just choosing to reject them. Getting fired is “big boy” and “big girl” time. You’re NOT gonna change their mind. Be ready to face it. So do as you did – be prepared to get everything you can. I cover some of this in the Crib Sheet section, which actually comes from the minds of a few of the very best HR folks I know. I loved interviewing them about how THEY would coach a friend who’s about to depart! I learned stuff I didn’t know (or realize)! I think the most important point is below the surface in your comments: You had presence of mind throughout the process. You didn’t fumble. And this enabled you to put your anger aside while you focused on getting the very best deal you could. (Sorry that wasn’t your boss’s job – that fantasy was a fine one! And I’ll bet thinking about it helped you get through.) Presence of mind in a tough situation like that enables you to trigger your employer’s smartest instincts – to be good to you because you’re making it easier on him. You didn’t dicker over a period of days – you had your wishlist ready to go! I wish more people walked into that room, admitting to themselves there was no way to change it, no way to stop it, and no reason to be angry – just get the best you can by asking for it. Nice work! @Kimberlee: Your points are well taken. But I think savvy employers who are interviewing someone who was fired, will read right through “I’m looking to get more into x.” They want to see the candidate sweat and answer directly. The more direct the answer, I think the better. Employers know all the b.s. lines. “I want a more challenging place to work” and “I want to advance.” Gimme a break. Use an approach the employer has never heard before. Talk not about what you’ve done, but about what you WILL DO for them, and how. But you make an important point. Some employers will not back off from demanding to know what the exact problem was. The strong candidate draws a respectful but firm line and avoids talking about what a former boss thinks. Then encourages the new boss to lay down a challenge relating to the work, so the boss can judge the candidate’s ability to do it. That’s the trade: You stay out of what my old boss thinks and I’ll focus on what you need. My employer, a private major university, requires all employees to give 4 weeks notice when quitting if you want to leave in good standing, I.e. eligible for re-hiring etc. I am fairly certain my current job is going to be eliminated in the next 12 months. I have been unable to find a new job within the university. When I go on job interviews, employers want someone to start in 2 weeks. All advice is appreciated. @Amy: do you have an employment K with your current employer? If not, then they can “require” employees to give 4 weeks notice all they want, but you can still give a 2 weeks’ notice or a 1 day notice. I think every state is an “at-will” employment state, which means that your employer can fire you or lay you off for any reason or for no reason (so long as they’re not stupid enough to tell you it is because of your race–you have to be a member of a protected class), and you, the employee, can quit for any reason or for no reason. This applies to employers in both the public and private sectors. The issue you need to consider is: do you wish to continue to work for your current employer, albeit in another dept., or not? If not (and if you think that you wouldn’t be interested in working there again in the future), then give whatever kind of notice suits you best. If that is 2 weeks, then that’s sufficient (legally, unless you are under a K, you don’t have to give any kind of notice; if they were to fire you or lay you off, would they give you 4 weeks’ notice?). If you think you would consider working for them again sometime in the future, or if you are under K to your current employer, then you could broach the issue with a prospective new employer. Tell them that you signed an employment K with your current employer, and therefore you are legally obligated to give them 4 weeks’ notice. You could always ask if they would be willing to work with you (let you start in 4 weeks). What is the worst they could say? No? Then you know where you stand. I don’t know who your current employer is, the state in which you live, nor what kind of work you do for the university. If you are a head coach, you probably have an employment K. If you’re the dept. sec’y for the biology dept., or a reference librarian or work in the registrar’s office, then you probably don’t have one. If you are faculty, then you might have a K.
You could also talk to an attorney who specializes in employment law. Talking to an attorney can be expensive, but it might be worth the cost just so you know what your rights and liabilities are in your case. RE exit interviews and the wording; Nick is right–saying that “it was decided” is passive, as if some unknown entity decided to fire you or lay you off. I also think that employers who are interviewing candidates also recognize the stock phrases and buzzwords, so couching your leaving/firing as “looking for a new opportunity” is just as passive as the other phrase. It’s code for “there was a clash and I got fired or I quit”. No one wants to hear trash-talking (save it for your spouse or best friend or therapist) either. I like Nick’s idea of re-directing the employers’ attention to what you can do for him, not what happened in the past. And if he’s like a dog with bone and persists in asking, but can’t handle it, then that’s a sign that this is not the right employer or place. Sometimes getting fired isn’t personal–the company outsourced all of the jobs in my dept. to India, so I’m out of a job, or the CEO’s nephew needed a job, so I’m out of job. These things happen all of the time, and most employers know it. Whether they accept it when it is someone else (you) is another matter. @Don: love how you handled it (hard though it was but you did it gracefully). RE the exit interviews, HR likes them, but you’re not obligated to do it. The way I see it is that if HR is doing exit interviews, they’re often a day late and dollar short, and failed to address issues and problems earlier, and now they want to know why there’s an exodus from Dept. G. My brother was asked by a former employer to do an exit interview more than a month after he’d left, and he refused because he felt that it was too little too late, that HR wasn’t going to do anything about the bad bosses and lack of leadership, and for his line of work, it is a very small, incestuous cadre. People change employers but often work with eachother with multiple employers. The last thing he felt he could be was honest–he knew that he could very well wind up under the same boss he just fled at another job a few years down the road, and didn’t want to give that boss reason to fire him from a newer job. At his old employer, HR shared the comments and data from exit interviews with bosses and dept. heads, so the last thing you want to do is tell the truth. I hope I didn’t project anger. I wasn’t angry. As you said I knew how the game is played…and as a Manager who’d gone through a number of RIFS I knew there weren’t going to be any variations on the formal package. That when the time came, that was it. I’d been expecting it. Four years prior I was a repatriated expat, a corporate orphan, a fish out of water who took what came up on my return. It made do to provide a recovery base, get my youngest son through High School. But I was off balance, in a company in a downward spiral, with no mentors, no juice. It didn’t take blinding insight to see I was a perfect vulnerable target to be thrown under a bus. I was a staff guy in NC working for a VP boss in MA. Out of sight, out of mind, perfect fodder for the downsizing lawnmower. So I had ample time to mentally and physically prepare. My wife & I had discussed job changing strategy on returning to the states (now THAT was hard), and what we came up with was simply..”stick around until they throw me out” So in a way the company played right into my hands. I wasn’t blindsided, and I’d seen some of those poor souls axed before me, and many since I became a recruiter. That’s the worse scenario. Pole axed, in shock, angry, bitter etc. LIke Nick said, I don’t know how they couldn’t see it coming. But they didn’t or didn’t choose to. In preparing myself I found that book, and picked up that one key insight…Look, you’re being fired anyway, so ask for things. Figure out what you’d like, what you think you have coming to you, what you can get to augment the package (not change it), what your boss can do. (and he/she cannot change the standard package) Get anything and everything you can legally and ethically get. What are they going to do, fire me to the 2nd power because I asked? So I made my list, ran it by my wife, refined it and waited. It wasn’t a bad company, my boss wasn’t a bad guy, and the package was a good one, timed I think with some forethought on their part so that when the package ran it’s course, I automatically retired. Which gave me a small pension and more important retirement medical, both of which I still enjoy, if that’s the word. 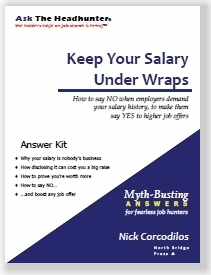 I don’t have to read the book, because I know from experience, Nick’s book is probably the best investment someone can make because it fills a vacuum. I’ve met thousands of terminated people low to high paid, and they leave their company the same way they joined it…following a formula, standard rules of engagement in hunting for a job, and exiting by some standard process. No exceptions I’ve never met anyone who did what I did, ask for more. Ask for things germane to me & my situation. A book that tells you first that you can & should have an exit plan, and gives you a plan builder is worth it’s weight. Knowing how to exit a situation, direction, vocation etc, is as much a part of career development and management as what gets just about ALL the attention, hunting for a job, training, education, interviewing etc etc. @Don: no, you did not come across as angry or bitter–just realistic, and smart enough to see what was coming and to know that you could ask for more. Many people don’t know that they can ask, or they’re blindsided and thus become angry. You saw the writing on the wall, and had time to prepare for it, which I think helps a great deal too, because preparation gave you a measure of control. True, many are blind to these matters, sometimes because they choose not to see, other times because management is truly sneaky (and there is no warning if no one is talking–some employers and bosses are experts at making employees mushrooms (keep them in the dark, feed them manure). I was just talking to the mother of a former high school classmate of mine. The classmate had worked for a private college for 23 years, and she was let go a year ago. Her mother said her daughter was completely shocked and blindsided–had no idea this would happen to her because she was the only one doing a job (Interlibrary loan) and thus felt that she wasn’t expendable because libraries always need someone to do ILL. The college opted to split the job among two significantly lower paid employees–ILL still gets done, and the task is added to two other employees’ plates. She told me that two people had left before her daughter, and had had an inkling that more layoffs were coming, but had been forced to sign agreements that they would not discuss the matter. So, I can see how someone who is the only person doing a necessary job can be blindsided by a layoff or firing. Personally, I worked for a company that eliminated an entire dept. without warning–management kept things hush-hush until the day they made the announcement, and employees were shocked. I worked for another company that was honest with us–the site was to be closed and all of the jobs were going to the company’s Albany’s location. But this company told us a YEAR in advance, gave those who wanted to move to Albany the opportunity to keep their jobs (but didn’t pay for re-lo), allowed those of us who chose not to move time to look for, to interview for other jobs, provided on site career and job hunting counseling, hosted job fairs, and more. So in all fairness, it really depends upon how honest the employer is, what kind of relationship you have with your boss (and even the best boss may be under strict orders to keep quiet about any “changes” and “restructuring” and be unable to help you lest he risk getting fired/laid off too), and your own awareness of what is going on in the company. I think back to the late summer/early fall 2008, when several of the “too big to fail” companies went under went the economy truly went into a free fall tailspin. I am sure that shareholders and board of directors and big kahunas (CEOS and upper level management) knew that the companies were in big trouble, but that does not mean that the lower level employees had the same level of awareness. After all, many of us had survived economic downturns before, and no one thought this one was going to rival the crash of ’29. Thanks for sharing your story, and what I took away from it was that you should pay attention to what is going on in your company or agency (assuming that there are reports to read and scuttlebutt to overhear) and never to assume that you are secure, and that if you think you’re in the tumbril on the way to the guillotine, you should take stock and prepare, not for the outcome, which, as you noted, cannot be changed, but in terms of your severance and asking for what you want. Maybe you won’t get everything, but a spoonful of the moon is better than no moon at all, and if you don’t ask, then you won’t get anything at all. In working close to 60 years, I think I’ve been through about every termination and size, from both sides of the desk (the terminator and terminatee) One size doesn’t fit all because as you note one’s relationship with your boss…and your bosses with the chain of command come into play. As does company culture and history. There is a big difference between YOU being terminated and being part of a group being terminated. And what kind of exit plan you can deploy. Generally the larger # of people involved and the more “public” the layoff, the less wiggle room you have. the story I cited was part of a larger layoff, but quietly one of an ongoing several as the company tried to cope with a downward spiral. I was with that company for 16 years in which the last six had at least one annual downsizing. I dodged a lot of bullets, but my time had come. Karma. 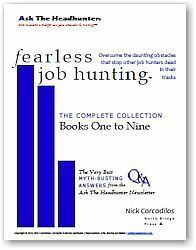 The closer a company gets to a RIF, reduction in force, the more the point Nick made comes into play..that there is nothing you can do about it, and more to the point, neither can your boss, your boss’s boss etc. You become one of the lemmings marching to the cliff. Sneakiness: Once you can fake sincerity. You’ve got it knocked. When companies resort to RIFs, the kind you don’t measure with headcount, but % of headcount, it’s like an earthquake. And the big question on everyone’s lips is “Is this it?” Or is there another?” If there is the only one’s who know the answer are the CEO & the executive team..and the latter may not be in the know either. So you reassure the “team” that security has returned. Truth is they don’t know because when you get to that point, as a company you screwed something up, and/or there are things happening beyond your control. So what you communicate is what I call a strong hope..dressed up as fact. I could write a book and it seems like I am. But I can share 2 other instances of massive terminations. And what’s common to both of them is I got to experience seeing large corporations conducting their 1st RIFs. Meaning Management all the way up the line had no experience with it. And I did. Chicken Little comes to mind. And again Nick’s point is driven home. The actual people to be terminated were selected from ahigh. Their immediate boss & his/her boss got no vote and once the list was established, it was non-negotiable, no matter how stupid some of the decisions were. In the 1st company, the secret was kept fairly well, Up to a point. the point being 2 weeks before the trigger was to be pulled. Perhaps they thought it was humane, but it was awful. NO meaningful work was done, people angonized including the managers, as you noted they were sworn to secrecy, meaning you couldn’t tell someone they were OK or not and believe me they asked. And everyone worried, including THE very best performers and valued people by anyone’s measure. They sweat the same bullets. I had some people who felt were suffering to the point of their mental health would take a hit. Some of my best. Yet I couldn’t tell them. The Marines have a saying “Beware the enlist man, though illiterate, is crafty and sly and bears watching at all times” OK I couldn’t tell them. But what I could do is set up a meeting with her, 1 week after doomsday, call her into my office and tell her I scheduled the meeting and it’s very important she not miss it..understand?” Relief is a form of communication, she got it. 2nd company, same situation. Their 1st RIF. Office environment. They kept the secret well this time and announced doomsday which was a near term black Friday. It was to be synchronized. OK so far. Now get this. Everyone was told to go to their office (most were shared by 2-3 people) and close the door. The internal phone system was temporarily locked down so you couldn’t call from office to office. At the appointed time, a person’s manager was to walk to the applicable office, knock on the door, ask the person to come with them to the Director’s office, where they were terminated. When everyone was terminated, an all clear would be sounded (via the same walking managers) phones restored. Jeez! Someone thought this sounded good. But guess what, our business didn’t stop. Work had to go on, you people were needed, for information, for decisions, so I’d find (as did my peers and all over the place) myself going to their office, like the grim reaper, knocking on the door but announcing relax, this is business, not a trip to the Director. (until later when it was a trip to the Director). This took close to 2 hours, which to people inside the offices, was like 2 days. Unfortunately the art & craft of downsizing in unsuccessful companies is an acquired skill and they learn stealth. Same # of people, quietly done, but spread out over a longer period of time. ongoing onesy-twosies. These big layoffs, especially when done by a company lacking the experience are chaotic. But opportunity lies in chaos. I was able to ask and get things, because it never occurred to anyone who crafted the process, that anyone would ask for one-offs, so the process never told management they couldn’t do it. In major corporations Sr Mgmt has healthy signing authority, so if you stay pragmatically inside that authority you can have some success. @Amy: Your employer is holding your references and the chance of re-hire hostage. They have every right to do that. And you have every right to collect references privately, from people you work with there. And you have every right to forego another job there in the future. The next job you take – which requires you to start in two weeks – may be a far better deal than “two in the bush” in the future. Look to the future. @Don: I read no anger in your story. It was very instructive. There’s a whole section in my Parting Company book titled “Learn to Move On.” Part of it is about exactly what you refer to: “Anger and bitterness consume energy. Energy better put in the next adventure.” It’s so easy to fail in a new job because a person is so mired in anger about the past. It’s SO important to let it go and focus on the future – because the future is every day while the past is gone, gone, gone – and good riddance! the discharged want justice, payback, to get even. they need to understand the very best way to get even..exact revenge so to speak is to Succeed . I resigned from my position after the term outline in my retention bonus, but now my company doesn’t want to pay my bonus. Do I have any available actions? @Gina: That’s one for a lawyer. If you have the terms in writing, I’d find a good local employment attorney and ask what the fee would be to review the doc and talk to you for an hour. Depending on the size of the bonus, it could be money well spent. The point is not to give the lawyer an open-ended assignment, so you can limit your costs as you go. If the agreement is clear, it might take nothing more than a nastygram from the lawyer to the employer. I wish you the best with this. I really like Nick’s answers here. Being less than straightforward clearly begs more awkward questions than being totally honest. I liked the out there openness of Nick’s response: Because if you don’t hide anything, you don’t look like you have something to hide. The stance “Here I am; this is what I can do” is impressive and removes the applicant from that off putting helpless stance. It’s important to remain a job applicant, not a job supplicant. I’ve been fired twice for protesting unethical practices, and I was happy to tell prospective employers because I would rather have spent more time unemployed than risk going through that again. 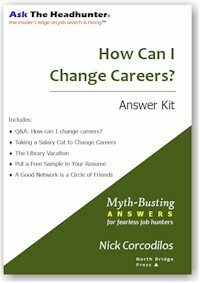 @Marybeth: I agree that it is best to not say much of anything in an exit interview. Although my current employer tells those leaving that exit interview information is kept confidential, that is not true. They tell the director and other managers what the person said. Telling the truth will only hurt the person leaving and will do absolutely nothing to improve the current environment in a company.